Barbour, John. The Bruce. Ed. A.A.M. Duncan. Edinburgh: Canongate Classics, 1997. Black, Ronald. The Gaelic Manuscripts of Scotland (draft). Volume I: Classical Gaelic, Irish and Welsh Manuscripts. Typescript. National Library of Scotland, Manuscripts Division. Blackie, John Stuart. Scottish Song: Its Wealth, Wisdom, and Social Significance. Edinburgh: William Blackwood & Sons, 1889. Brown, Mary Ellen. “Old Singing Women and the Canons of Scottish Balladry and Song.” In Gifford & McMillan. Cheape, Hugh. “The Pipes and Folk Music.” In Cowan. Child, Francis James. 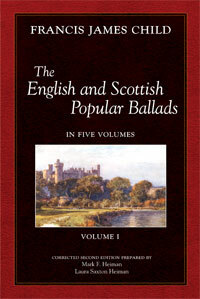 The English and Scottish Popular Ballads, 5 volumes. New York: Dover, 1965 [1882-1898]. Many editions available, including a Kindle edition of the 1965 Dover edition. The best is the Corrected Second Edition, edited by Mark F. Heiman and Laura Saxton Heiman. Loomis House Press, 2001. 5 vols. Online, try this searchable site by Sacred-texts.com. Does not include Child’s notes or editorial apparati. Collinson, Francis. The Traditional and National Music of Scotland. Nashville: Vanderbilt UP, 1966. Cowan, Edward J., ed. The People’s Past: Scottish Folk, Scottish History, Edinburgh: Polygon, 1991 . Cowan, Edward J. Calvinism and the Survival of the Folk. In Cowan, 1991. Dunnigan, Sarah M. “Scottish Women Writers c.1560-c.1650.” In Gifford & McMillan. Fowler, David C. A Literary History of the Popular Ballad. Durham: Duke UP, 1968. Gasgoigne, George. Certayne Notes of Instruction Concerning the Making of Verse or Rhyme in English, 1575. Excerpted in Raffel and on line at bartleby.com. Gifford, Douglas & Dorothy McMillan, eds. A History of Scottish Women’s Writing. Edinbrugh: Edinburgh UP, 1997. 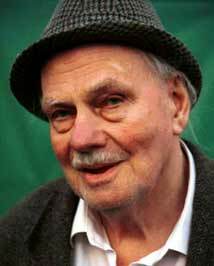 Gillies, William. Courtly and Satiric Poems in the Book of the Dean of Lismore. Scottish Studies 21(1977) 35-49. Harvey, Gabriel. Letter to Edmund Spenser, 1580. Excerpted in Raffel and on line at bartleby.com. Henderson, Hamish. Alias MacAlias: Writings on Songs, Folk and Literature. Second edition. Alec Finlay, ed. Edinburgh: Polygon, 2004. Henderson, Hamish. The Armstrong Nose: Selected Letters of Hamish Henderson. Alec Finlay, ed. Edinburgh: Polygon, 1996. Henderson, Hamish. “The Ballad, the Folk and the Oral Tradition.” In Cowan. Imlah, Mick & Robert Crawford, eds. The New Penguin Book of Scottish Verse. London: Penguin, 2000. Kerrigan, Catherine, ed. 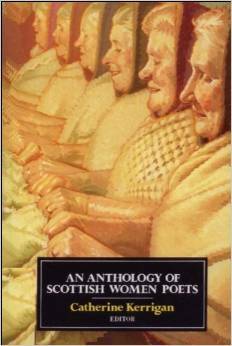 An Anthology of Scottish Women Poets. Edinburgh: Edinburgh UP, 1991. With translations from the Gaelic by Meg Bateman. MacGregor, Martin. “Creation and Compilation: The Book of the Dean of Lismore and Literary Culture in Late Medieval Gaelic Scotland.” In The Edinburgh History of Scottish Literature Volume One: From Columba to the Union (until 1707), ed. Brown, Clancy, & Pittock. Edinburgh: Edinburgh University Press, 2007. 209-218. MacGregor, Martin. The View from Fortingall: The Worlds of the Book of the Dean of Lismore. Scottish Studies 22 (2006) 35-85. MacGregor, Martin. ‘Surely one of the greatest poems ever made in Britain’: The Lament for Griogair Ruadh MacGregor of Glen Strae and its Historical Background. The Polar Twins, ed. Edward J. Cowan and Douglas Gifford. Edinburgh: John Donald Pubishing, 1999. MacInnes, John. “The Oral Tradition in Scottish Gaelic Poetry.” Scottish Studies 12: 29-39. MacIntosh, Donald T. James MacPherson and the Book of the Dean of Lismore. Scottish Gaelic Studies 6: 11-26. McCarthy, William Bernard. The Ballad Matrix: Personality, Milieu, and the Oral Tradition. Bloomington & Indianapolis: U Indiana, 1990. McLeod, Wilson & Meg Bateman, eds. 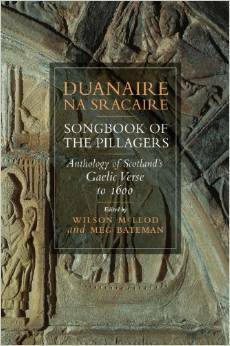 Duanaire Na Sracaire/Songbook of the Pillagers: Anthology of Medieval Gaelic Poetry. Translations by Meg Bateman. Edinburgh: Birlinn, 2007. MacGregor, James & Duncan MacGregor. The Book of the Dean of Lismore. (16th c.) Adv. 72.1.37. National Library of Scotland, Manuscripts Division. Mitchell, Dugald, ed. 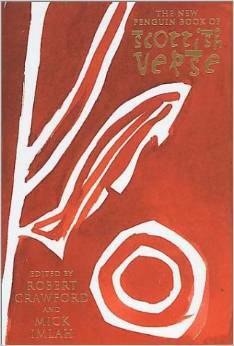 The Book of Highland Verse: An (English) Anthology. Paisley: Alexander Gardner, 1912. M’Lauchlin, Thomas, translator. The Dean of Lismore’s Book: A Selection of Ancient Gaelic Poetry From a Manuscript Collection Made by Sir James M’Gregour, Dean of Lismore, in the Beginning of the Sixteenth Century. Edinburgh: Edmonston & Douglas, 1862. Ord, John. Ord’s Bothy Songs & Ballads of Aberdeen, Banff & Moray, Angus and the Mearns. Edinburgh: John Donald, 1995. Pittock, Murray G.H. Poetry and Jacobite Politics in 18th Century Britain and Ireland. Cambridge: Cambridge UP, 1994. Puttenham, George. The Art of English Poesie . Excerpted in Raffel. Available on line at Project Gutenberg, the Library of Virginia Electronic Text Center, and elsewhere. Quiller-Couch, Arthur, editor. The Oxford Book of Ballads. Oxford: Clarendon, 1963 . Quiggin, E.C. Prolegomena to the Study of the Later Irish Bards, 1200-1500. Procedings of the British Academy, Vol. V. Oxford: Oxford UP, 1913. Quiggin, E.C. Poems from the Book of the Dean of Lismore. MS 148701. National Library of Scotland. Handwritten notes. 1937. Raffel, Burton. Elizabethan Prose Documents. From Stress to Stress: An Autobiography of English Prosody. Hamden, CT: Archon, 1992. 33-43. Ross, Neil. Heroic Poetry from the Book of the Dean of Lismore. Edinburgh: Scottish Gaelic Texts Society, 1939. These are the Irish poems, including poems by Ossian. Scott, Sir Walter. The Lady of the Lake. First published 1810; widely available on line. Scott, Sir Walter, The Fiery Cross of Clan Alpine. The Lady of the Lake. Rpt. Yearbook of the ACGS (1915) 28. Shire, Helena Mennie. Song, Dance and Poetry of the Court of Scotland under James VI. Cambridge: Cambridge UP, 1969. 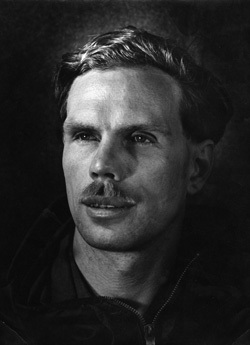 Spenser, Edmund. Letter to Gabriel Harvey, April 1580. Excerpted in Raffel and on line at bartleby.com. Sprott, Gavin. Traditional Music: The Material Background. In Cowan, 1991. Stewart, Susan. Scandals of the Ballad. Crimes of Writing: Problems in the Containment of Representation. Durham: Duke University Press, 1994. Symonds, Deborah A. Weep Not for Me: Women, Ballads, and Infanticide in Early Modern Scotland. University Park: Pennsylvania State UP, 1997. Thomson, Derick. Introduction to Gaelic Poetry. London: Victor Gallanz, 1974. Thomson, Derick. Scottish Gaelic Folk-Poetry Ante 1650. Scottish Gaelic Studies 8 (1955-58) 1-17. Thomson, Derick. Gaelic Learned Orders and Literati in Medieval Scotland. Scottish Studies 12 (1968) 57-78. Thomson, Derick. A Disputed Reading in ‘Cumha Ghriogoir Mhic Ghriogoir’. Scottish Gaelic Studies 10 (1935?) 68-70. Watson, Roderick, ed. 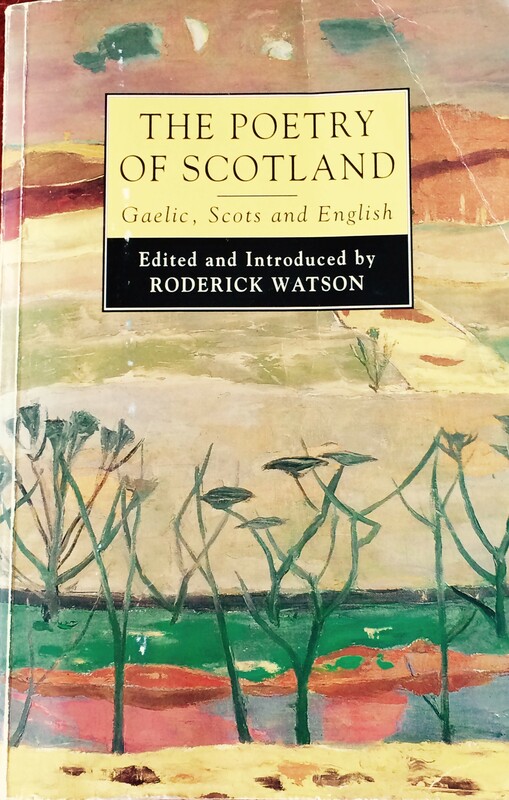 The Poetry of Scotland: Gaelic, Scots and English. Edinburgh: Edinburgh UP, 1995. Watson, William J., ed. Bardachd Albannach: Scottish Verse from the Book of the Dean of Lismore. Edinburgh: Scottish Gaelic Texts Society, 1937.